Statcounter provides customisable hit counters, visitor tracking, web analytics and website stats for Joomla. Log into your Joomla website. 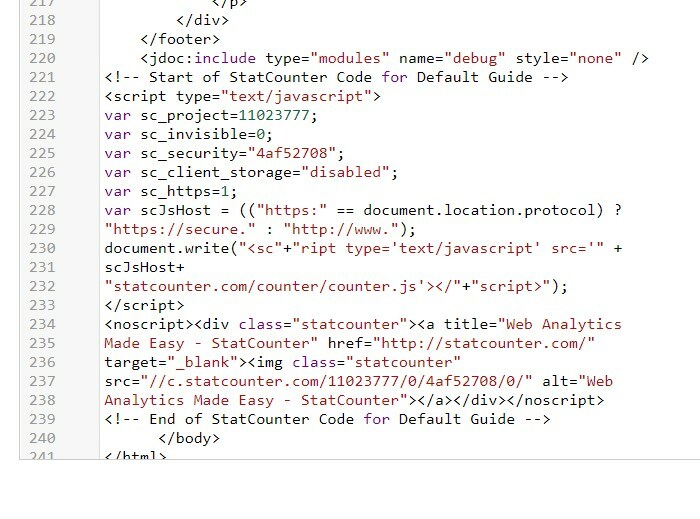 Your StatCounter code should now be tracking your Joomla site. Please note that if you're using Modules to install Statcounter then before adding the code you will want to change the editor to "None" under Global Configuration. Sign up for a Statcounter account using our Joomla installation guide. You can reinstall Joomla on your Statcounter project.